SAN FRANCISCO, Calif. /California Newswire/ — EPIC Insurance Brokers and Consultants, a retail property, casualty insurance brokerage and employee benefits consultant, announced today that it has again been recognized by its team members nationally as one of the Best Places to Work in Insurance in a survey conducted annually by Business Insurance Magazine and Best Companies Group. Best Places to Work in Insurance is an annual feature of Business Insurance that recognizes the agents, brokers, insurers and other providers with the highest employee scores in response to a detailed employee engagement and satisfaction survey. This year’s report features 75 companies of varying sizes that share a strong commitment to attracting, developing and retaining great talent through a positive culture, comprehensive employee benefits and other programs that their employees value. Based on employee feedback, EPIC was ranked #12 in the medium employer category (250-999 U.S. employees). 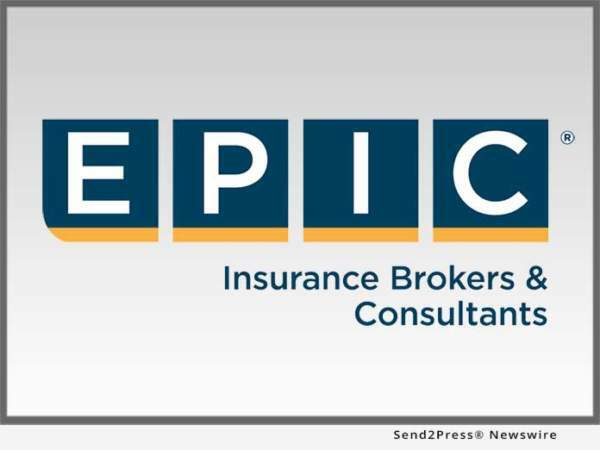 With run rate revenues of roughly $400 million, EPIC ranks among the top 20 retail insurance brokers in the United States. Backed by Oak Hill Capital Partners, the company continues to expand organically and through strategic acquisitions across the country.